1. Rinse Pleurotus ostreatus, tear into slices and go blanching, then remove into a bowl and squeeze out excessive water. 2. 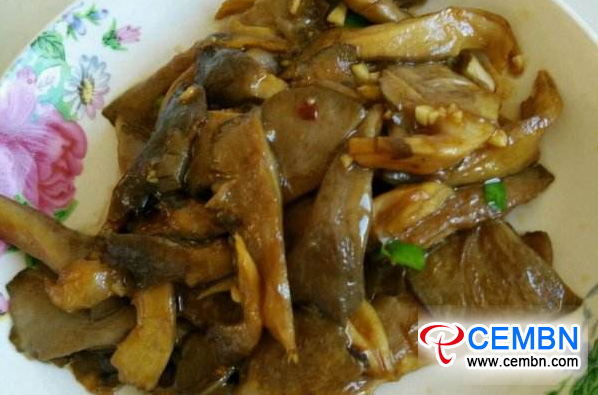 In a wok, add oil, when hot, drop in ginger, garlic slices and frequently toss over high heat, then add a tsp of oyster sauce, drop in sliced Pleurotus ostreatus and fry till fragrant. 3. Blend with half bowl of water, scatter with a pinch of salt, chicken powder and mix well. 4. When evaporated, thicken the dish with the mixture of water and starch if desired. Before serving, top with a handful of chopped shallot. Enjoy.